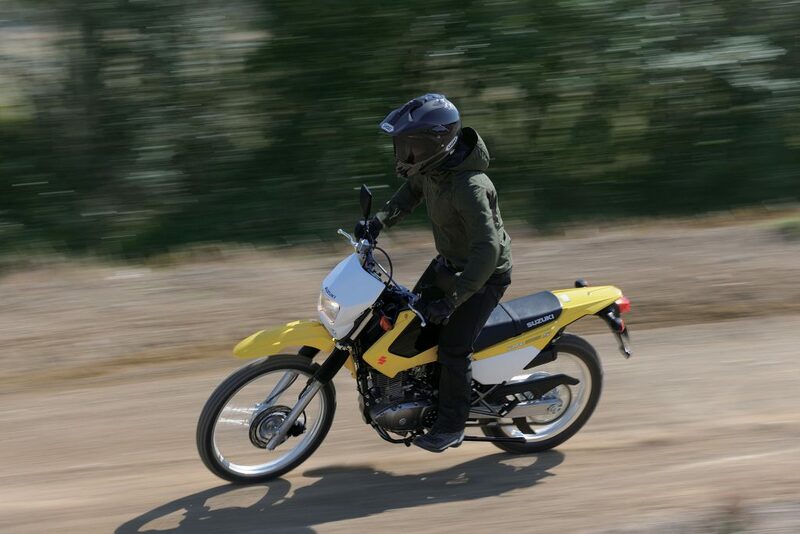 The 2016 Suzuki DR200S is an affordable commuter that gets 88MPG with its reliable 199cc engine complete with an electric starter, telescopic front forks, a 3.3 gallon tank, and abundant torque. The DR200S is the ideal dual-sport bike for trail enthusiasts and commuters alike. With sharp, competition-like styling and a reasonable 33.3 inch seat height, this 278 pound cycle encompasses the agile maneuverability Suzuki is known for. Ultra-reliable 199cc, 1-cylinder, air-cooled, SOHC engine provides just the right amount of torque and horsepower to power your ride. 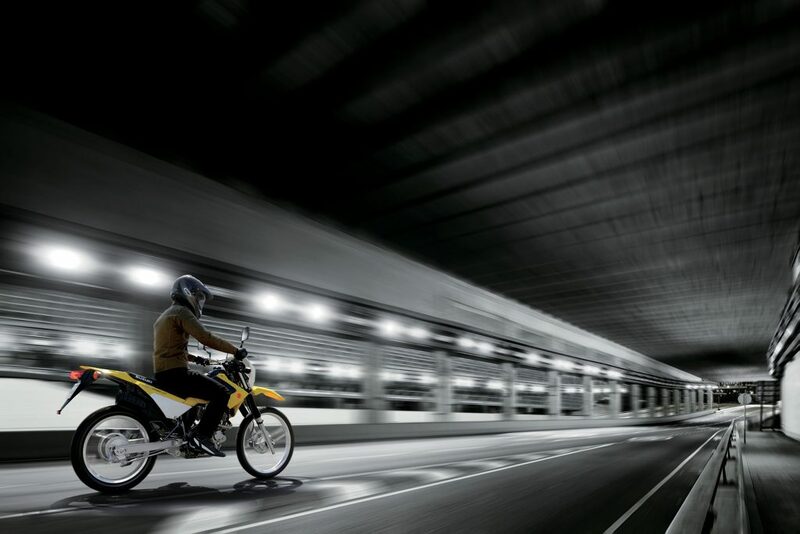 Push-button electric start ?res up the bike consistently, powered by a small and reliable battery. Five-speed transmission with gear ratios suitable for a wide variety of riding conditions. Cable-operated, quick-action rack-and-pinion clutch design ensures light and positive operation. Large front and aggressive rear tire with special tread patterns are designed for smooth riding for on and off the pavement. A 60/55 watt H4 halogen headlight can help extend your riding session. The taillight and turn signals match the sleek style of the seat and bodywork. 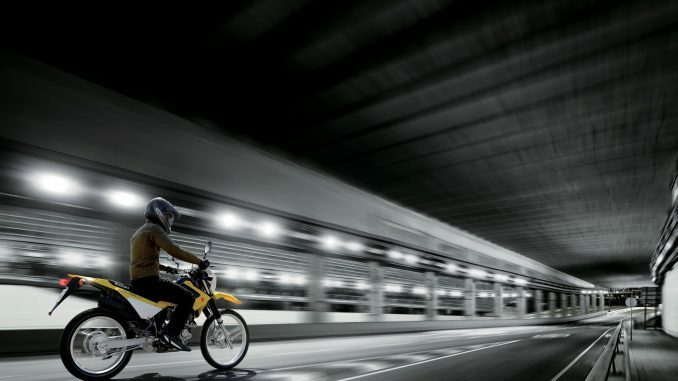 The on-road legal lighting is complemented with rubber-mounted turn signals and horn. 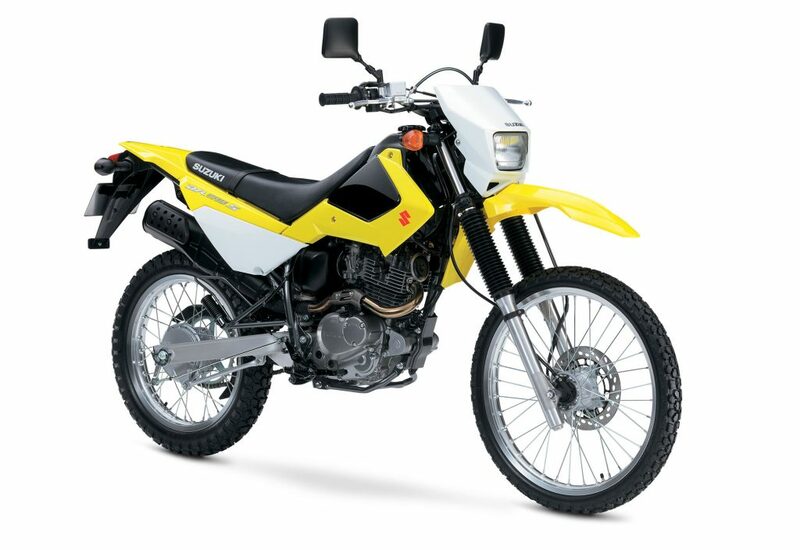 Select Genuine Suzuki Accessories are available for the DR200S.